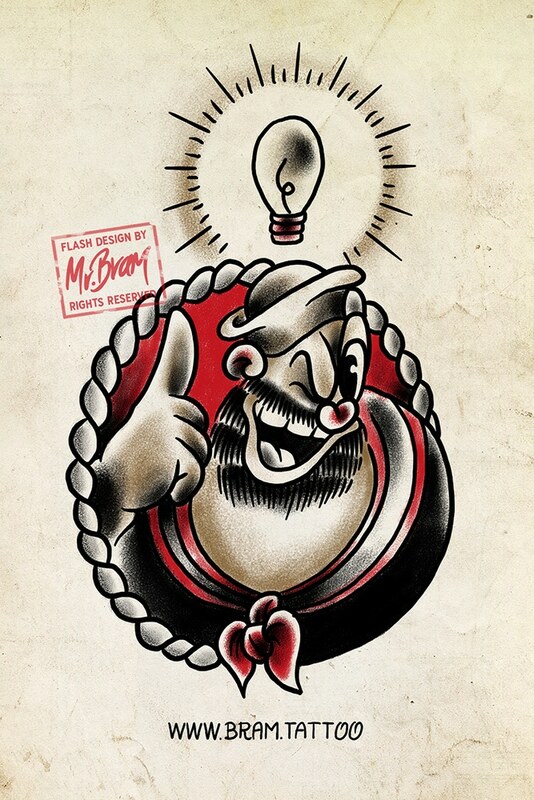 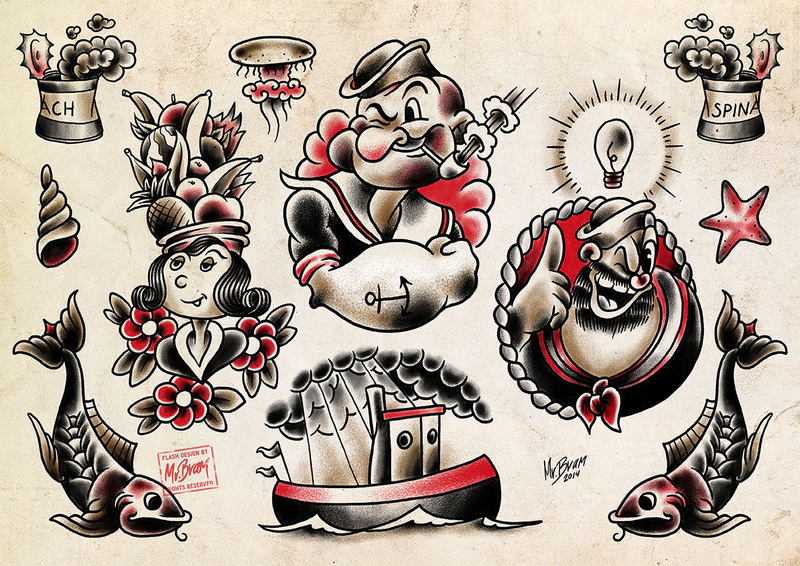 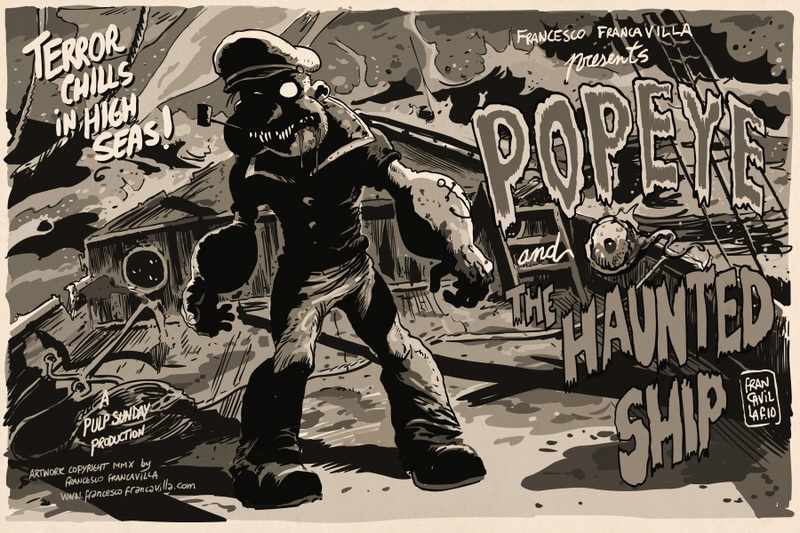 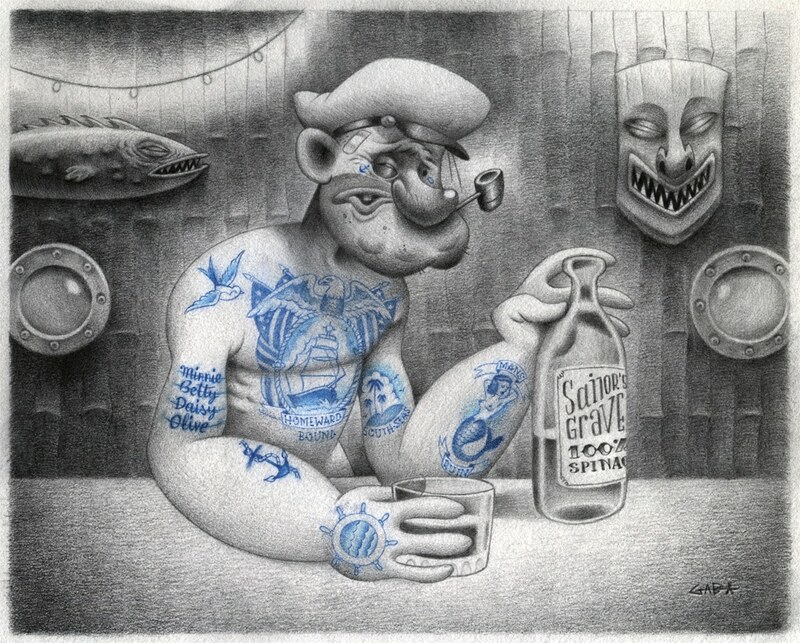 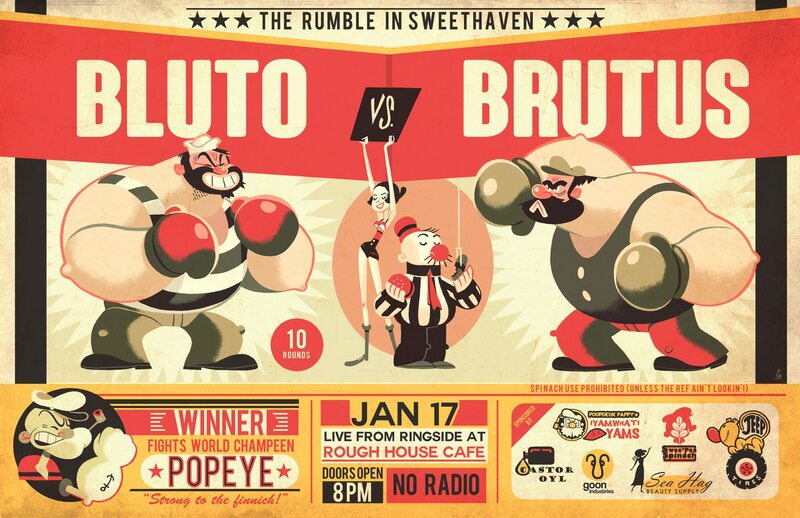 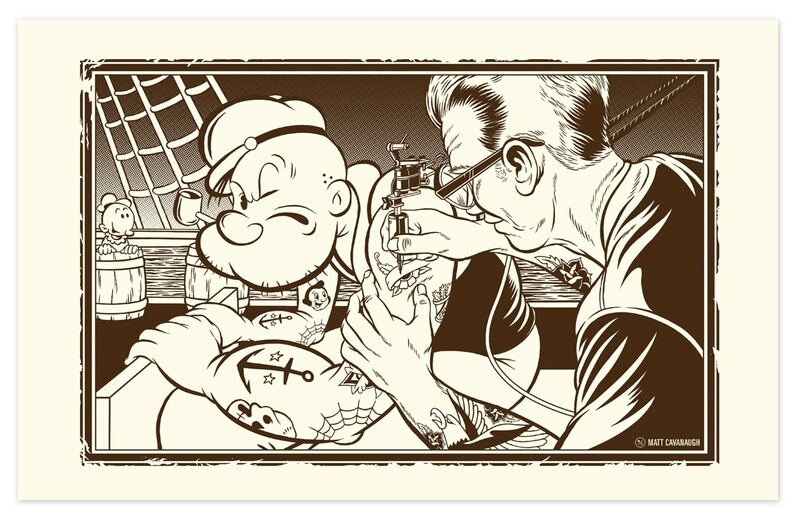 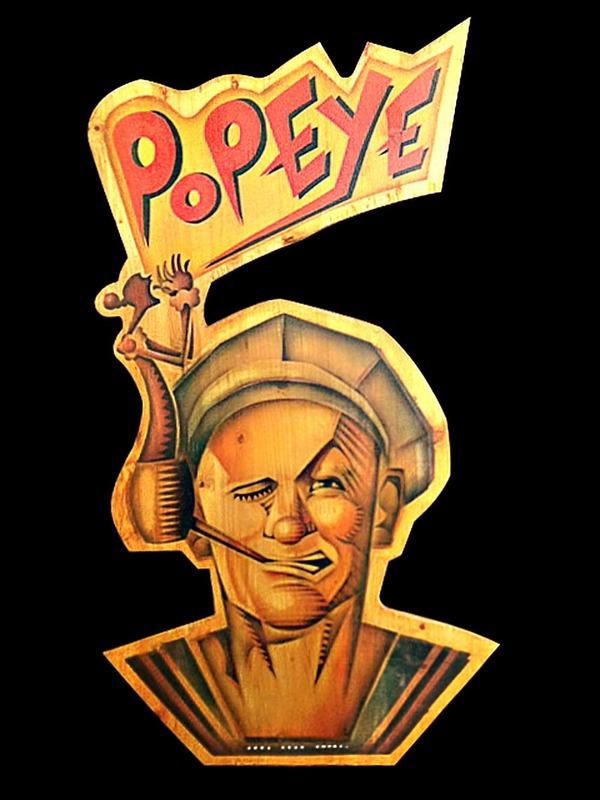 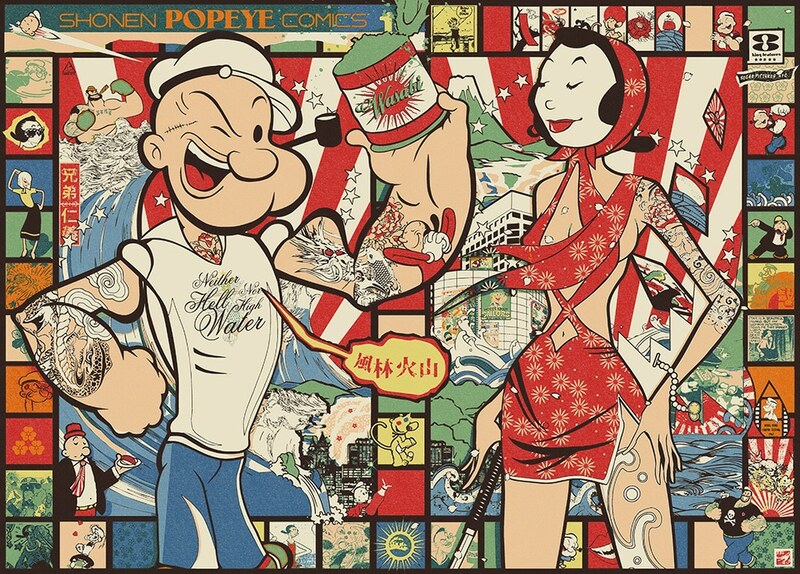 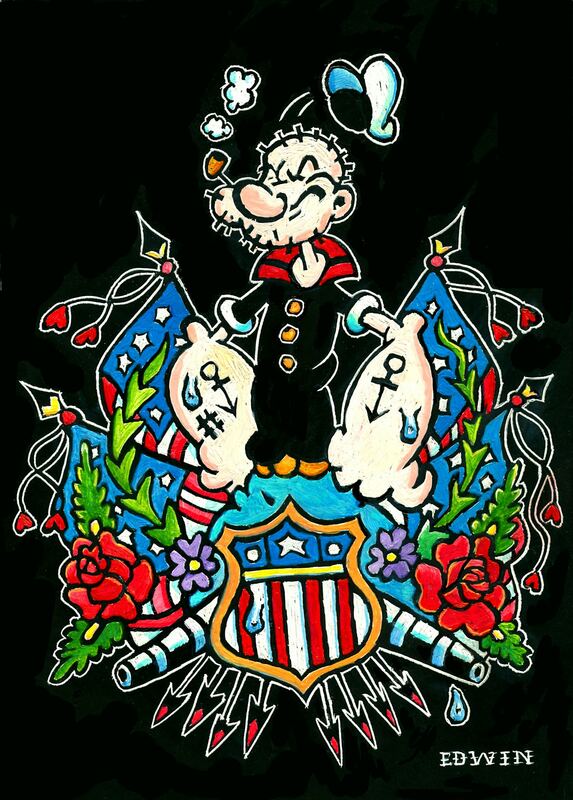 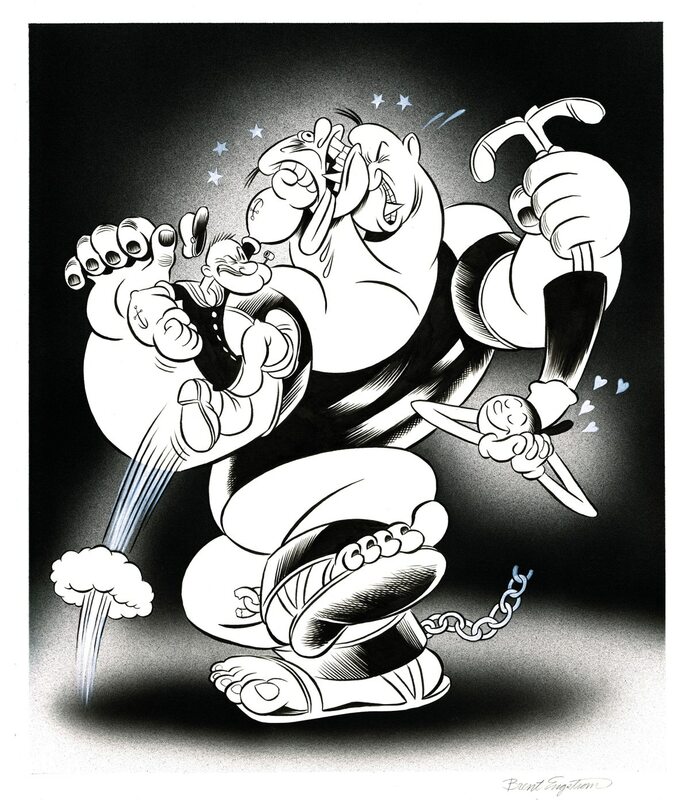 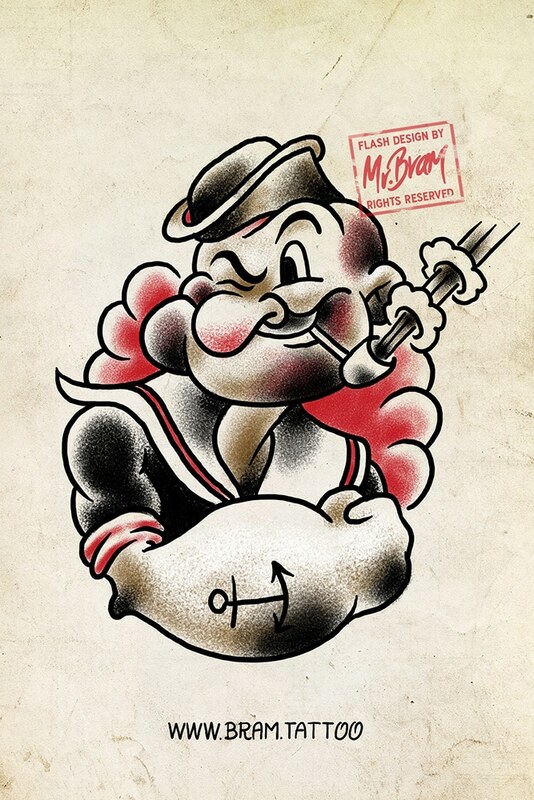 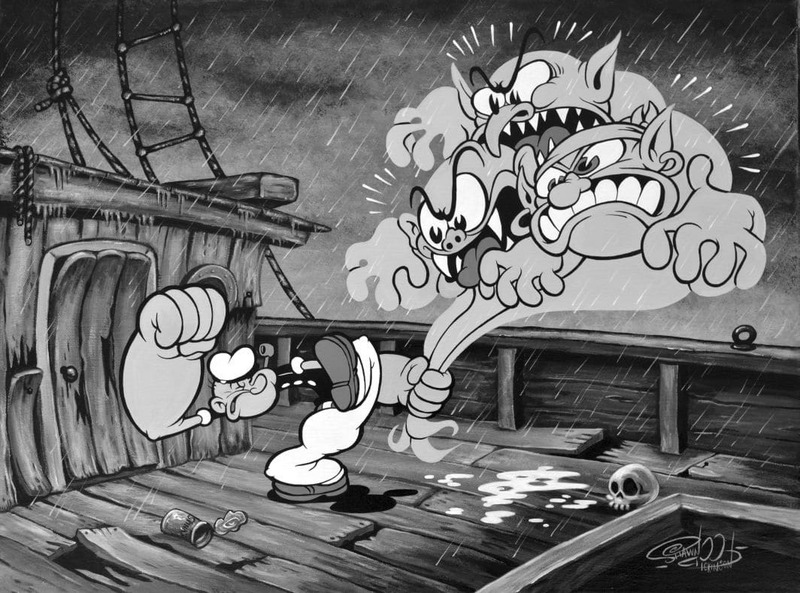 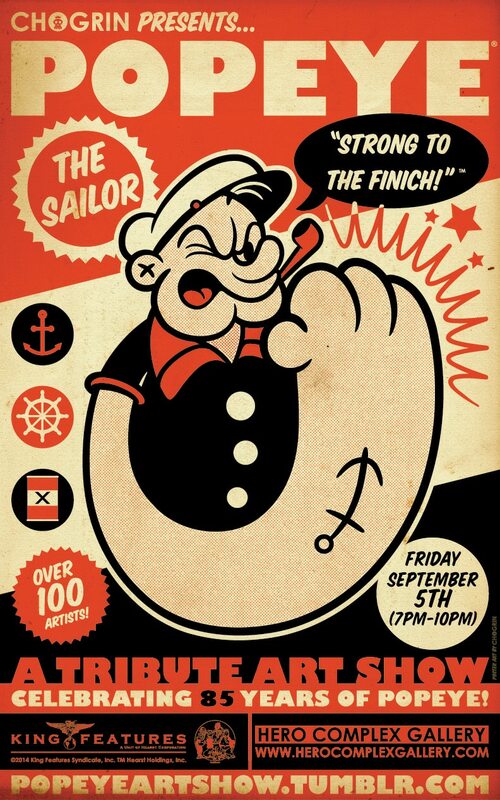 Hero Complex Gallery has a new show opening up tonight, September 5, 2014, featuring the classic sailor strong man Popeye (once played by the late, great Robin Williams if you remember)! 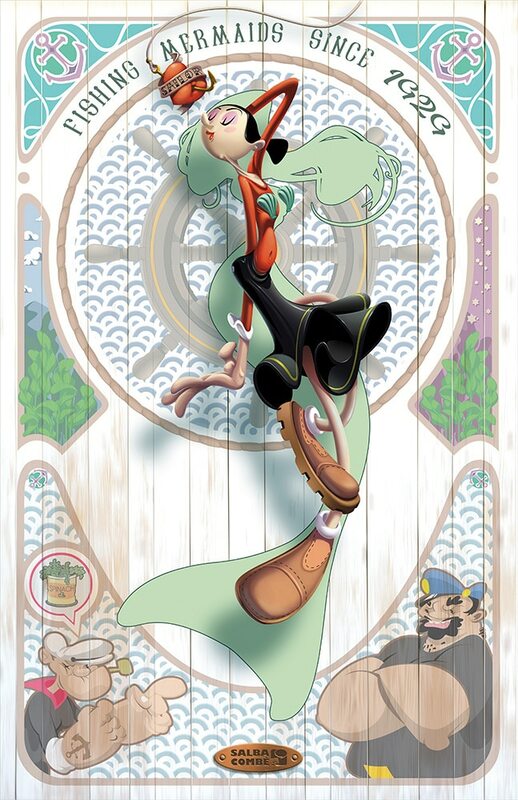 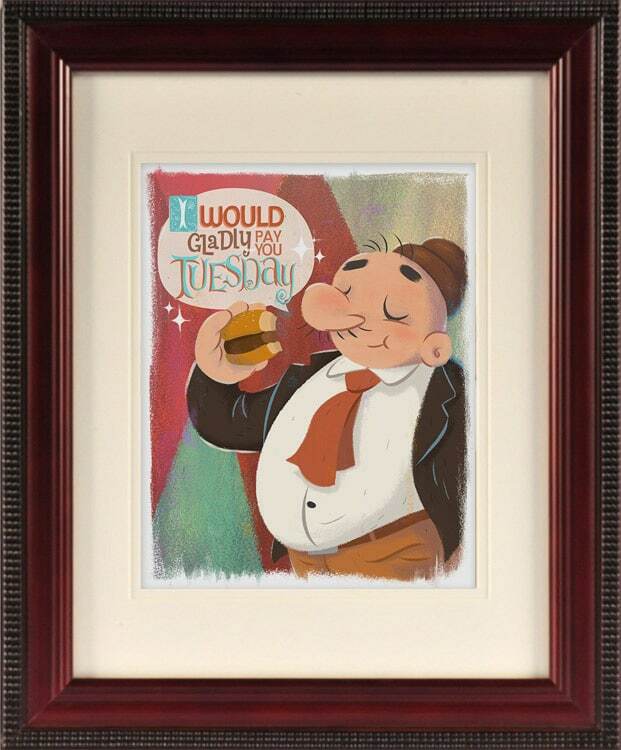 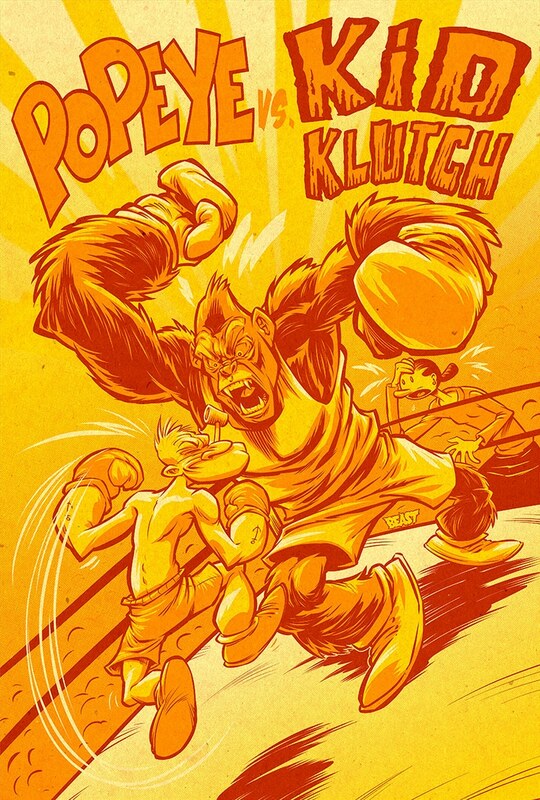 “Strong to the Finich!” features a ton of new artwork with your favorite characters by over 100 artists – Olive, Bluto, Wimpy, the gangs all here! 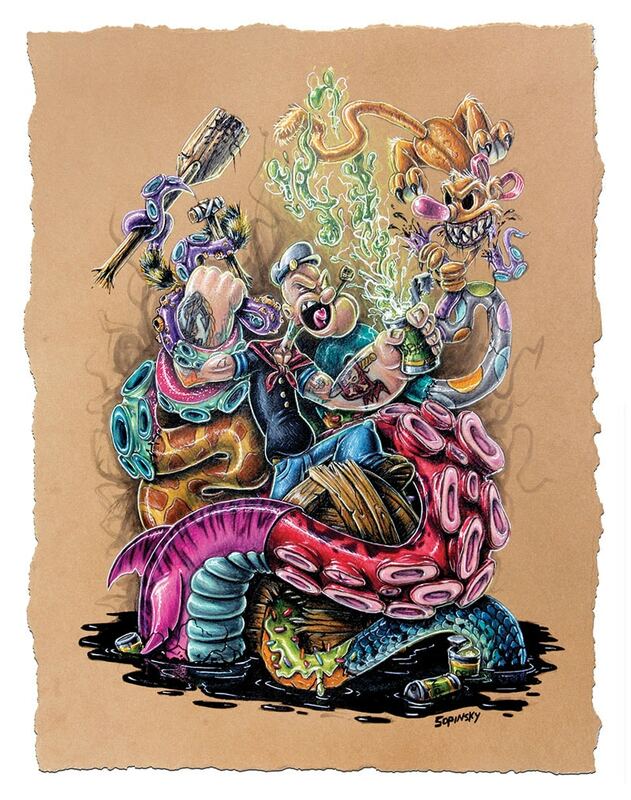 Check out the art below! 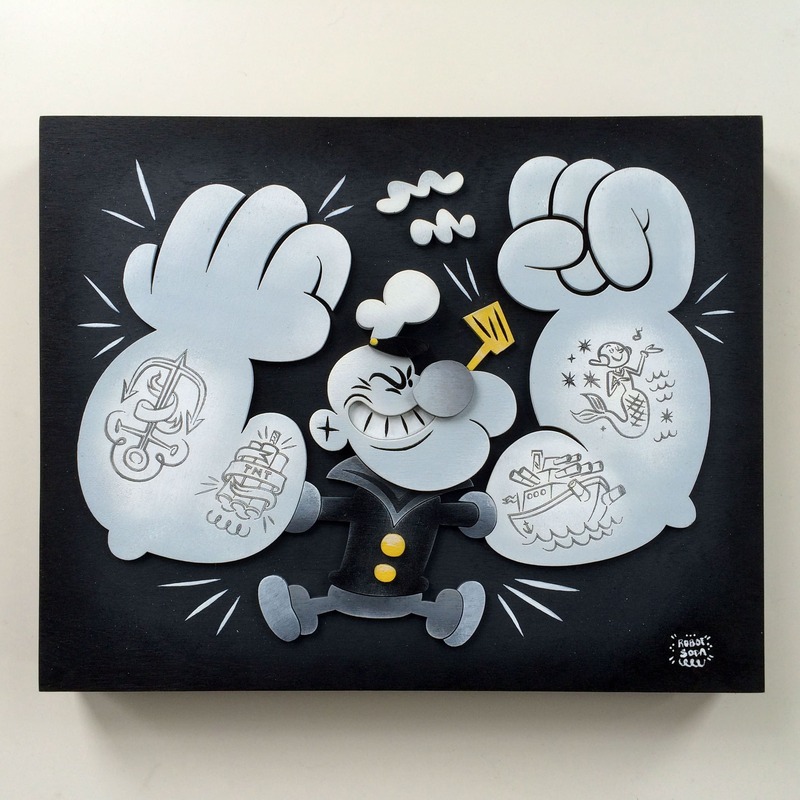 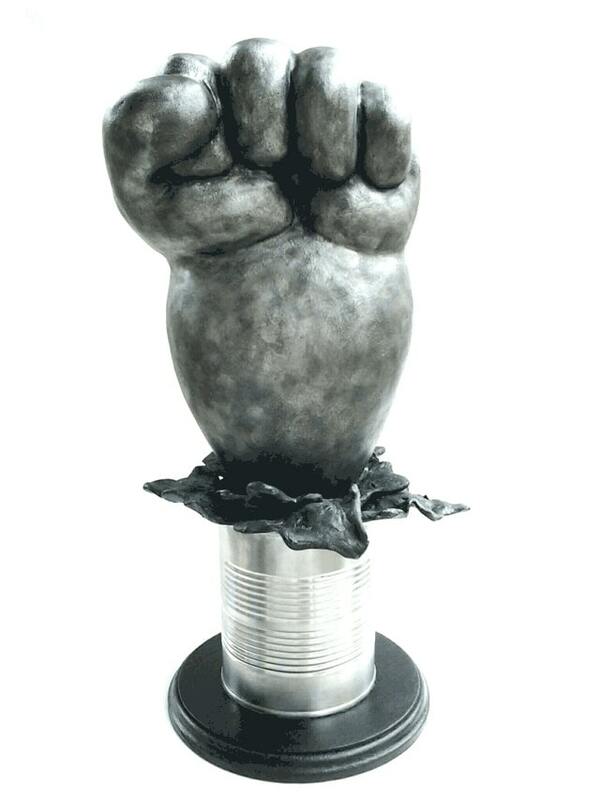 Checkout more work and details on the show and online drops here! 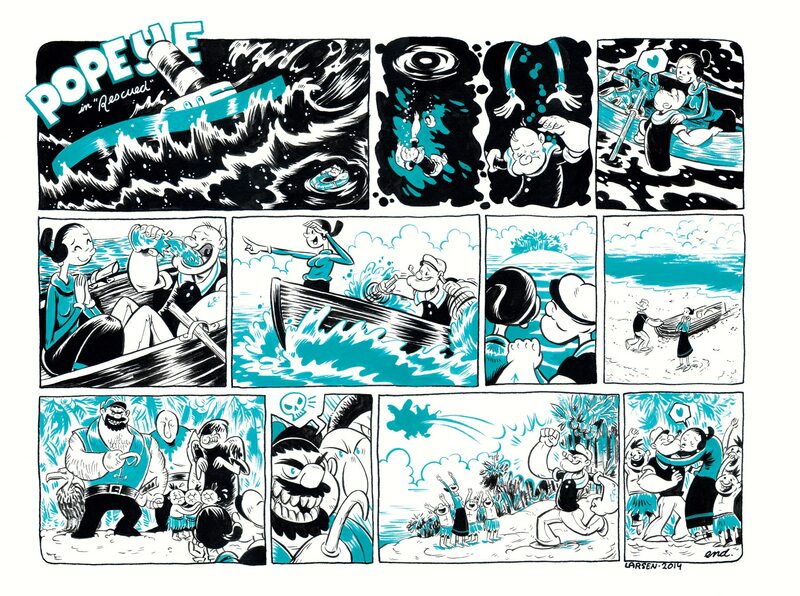 Work from the recent LTD art show “Whoa…Gnarly A 90’s Art Show” is up for sale online now featuring old school favorites Nirvana, Ren and Stimpy, Pulp Fiction, Batman, Jackie Brown and even an appearance by Caption Planet!